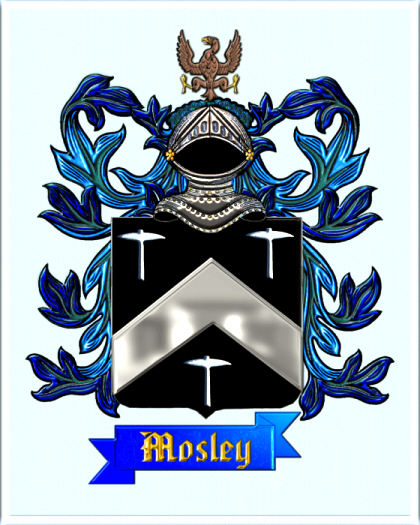 Coat of Arms with Crest for the Mosley surname. Family Coat of Arms: A black shield with a silver chevron between three silver mill picks. Family Crest: An eagle displayed ermine. plus you will receive a digital image for your computer that will be the same size 8x10 - sent to your email address.